We are often asked how to stop or reduce condensation forming on the inside of windows. Often referred to as ‘crying windows’, condensation forms when warm moist air collects on a cold surface e.g. glass. Apart from moisture accumulating on the inside of glass it can lead to the growth of black mould, corrosion of fittings and damage to woodwork and the paint finish on a window. The longer it’s left unattended the more money will need to be spent to repair damage. Added to that the health effects from mould can be quite harmful. The good news is that a number of simple things can be done to greatly reduce the chances of crying windows occurring. Here are a few things you may have never considered, but can be easily done to make a difference. 1. Keep your pot plants outside. While it’s nice to have greenery inside plants “breathe” moisture out into the atmosphere and contribute to the humidity inside a building. 2. Dry your washing outside where possible. If you use a clothes dryer ensure that it is vented to the outside of the building. Wet washing inside a room or using a badly vented clothes dryer can contribute a lot of moisture to the air within a home. 3. Have good ventilation/extractor fans over showers and cooktop areas. 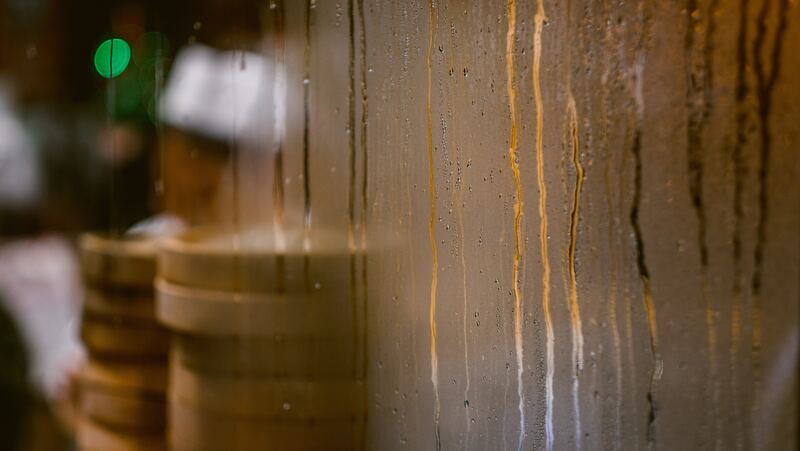 Showers, boiling water and cooking are daily occurrences that all contribute moisture into homes/buildings. Good systems for ventilation and air extraction to the outside will greatly reduce the chances of humidity building up. One of the best and simplest systems invented is the opening window sash! 4. Open your windows and doors. Wow that’s a neat idea!! Functioning windows are extremely important as they assist in providing controlled ventilation in buildings. 5. If you use humidifiers turn them off when you don’t really need them. All they are doing is pumping water vapour into your home. 6. Monitor the temperature of your home/building. Try to keep the temperature consistent throughout. 7. Draught seal gaps in windows, doors, floors and walls to control the temperature of the building and home. Draught sealing windows will not only make opening and closing easier, save on heating and cooling bills, but also assist in keeping room temperatures more consistent and warmer during colder periods. This will reduce the condensation. 8. Open drapes and curtains during sunny periods to allow air to circulate around the windows and dry out any moisture that may have built up. 9. Use fans and if required in ceiling heat/cooling transfer units to circulate and evenly distribute warm air around the home/building. It’s as easy as that, a few simple but effective ways of controlling “crying windows”.